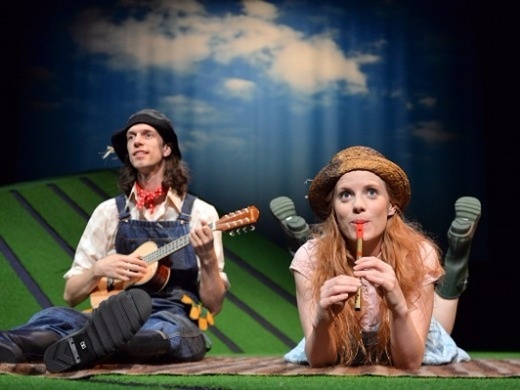 Scamp Theatre’s (Stick Man, Tiddler & Other Terrific Tales, Pirate Gran) enchanting stage adaptation of Julia Donaldson and Axel Scheffler's bestselling children’s book comes to the West End this July. 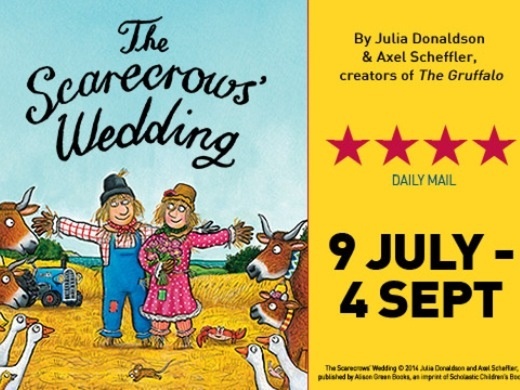 The Scarecrows’ Wedding tells the wonderful story of Harry O’Hay and Betty O’Barley, two happy scarecrows who play and dance and are going to get married. However, when Harry leaves on a trip to buy wedding presents for Betty, the farmer mistakenly thinks he has left for good and replaces him with Reginald Rake. As the charming and dangerous Reginald attempts to sweep Betty off her feet, will Harry return in time to save their special day? 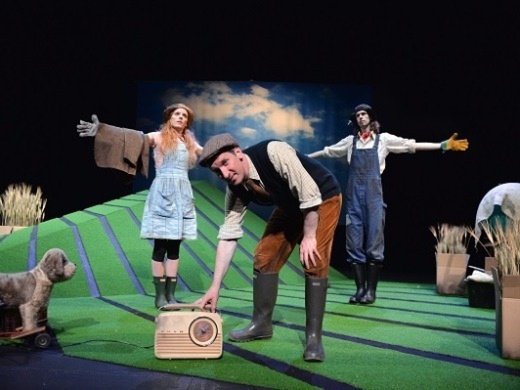 Expertly directed and featuring fabulous sets, energetic performances, innovative and witty use of props and a host of toe-tapping tunes, The Scarecrows’ Wedding is a hugely entertaining show. 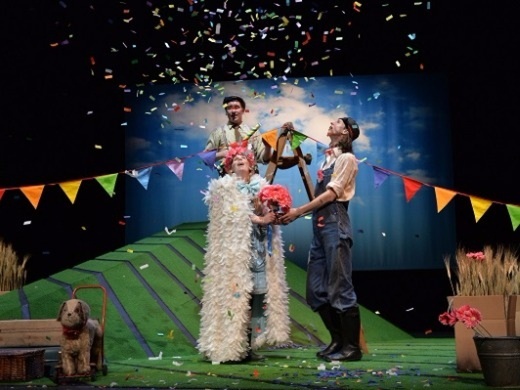 Suitable for children aged three and up, The Scarecrows’ Wedding is guaranteed to warm the hearts of everyone lucky enough to see it. Playing at London’s Leicester Square Theatre, book your family’s tickets to this fun-filled stage show today. All children of 18 months and over need a ticket, any child younger than 18 months are considered babes in arms. Leicester Square Theatre is two minutes walk from Leicester Square tube station (Northern & Piccadilly lines), and ten minutes walk from Charing Cross mainline station. The Scarecrows Wedding was a great show and good fun for the kids. Excellent performance with varied musical instruments which the kids loved. What a great adaptation for an introduction to theatre for children. My daughter, 4 loved it. Great songs, wonderful story and such a creative staging. I throughly enjoyed it too. Thank you! An excellent performance by all the cast, fantastic music and singing. A really lovely time. Our daughter loved it! We are now going to book Stick Man for Christmas!! It's an unreal performance by the team. They worked together with all the music, different instruments and excellent stage. My daughter really loved it so much!!! "My best day ever" Evie. Age 4. I took my 4 year old as a treat. And what at treat! Absolutely charming, delightful and funny. The actors were super and really engaged with the audience, the stage props were colourful and full of imagination and the music was dance in your seat great. My little girl laughed all the way through. Absolutely thoroughly recommend and will be looking out for future scamp theatre events. Went to see the Scarecrows' Wedding. It was amusing for children and adults alike. An enjoyable show for little ones during their holidays. I took my 2.5 year old to see this and he loved it! He knows the book well and was really excited to see it on stage. The actors were amazing and it was only 1 hr long so kept his attention all the way through. You had us all hooked from start to finish: 40 something!, 6 & 4. It's our favourite book and you brought it to life with panache. We all loved the stage set: the armchair was amazing, singing beautiful and atmosphere enthralling. We'll be recommending a visit to all. I took my 4 year old granddaughter to see the show as it is her favourite book. She absolutely loved it. It was very true to the story and wonderfully performed. She particularly loved the farmer and also the audience interaction. brilliant show and story telling. Loved characters, music and songs. Not for over 7 year olds. Dissapointing this show is not suitable for kids over 7 in my opinion . My daughter who is nine was bored alongside her friends . First Trip to the Theatre. I took my4 year old grandson to see the Scarecrow's Wedding when I was visiting,from Leeds.I booked the tickets online. From the beginning to the end of the show,he was spellbound.He had read the book several times and too see the characters he loves up there on the stage was magical.The show is just an hour long,which is perfect for little ones. The Scarecrows' Wedding- missed opportunity? This was my daughters' first ever trip to the theatre and they loved it. It was a charming show with great use of music and props. Having read the book though, I was disappointed by the script . Much of the lyricism of the original rhyming verse had been lost. It felt like it took a while to get into the story and my preference would have been to have made more of the wedding at the end. I really didn't like the sequence when the toad was in a military battle firing grenades , this is definitely not in the book and isn't appropriate for small children. The sequence with the snail dragged desperately with lots of fidgeting through the theatre. Reginald Rake only appeared with fifteen minutes to go and he is the best thing about the book. Playing him as French went against the book where he is an upper-class cad, felt stereotypically dodgy and then they confused me totally by having him dress as a flamenco dancer, again not in the book. Absolutely LOVED it. 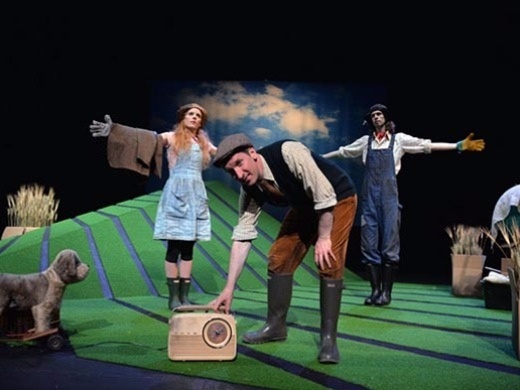 The farmer was amazing with his brilliant animal impressions, and the set was very creative and clever. I took my 3 grandchildren, who all know the book, and they loved it. Just the right length for smalls and lots of laughter. Very beautifully done. A great cast, amazingly imaginative set and props. My five year old daughter was captivated - as was I! Definitely the best J Donaldson adaptation. Amazing use of props & very talented cast. Throughly enjoyable for parents & children. An excellent show- all the audience were very entertained. My daughter couldn't stop talking about it all day!! Fantastic. Great performance. Took our 3 and 5 year old. Highly recommend.